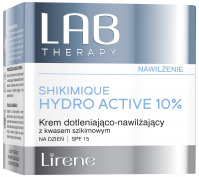 LAB THERAPY - EYE WRINKLE FILLER 15% by Lirene. Eye cream. This is a unique complex of beneficial ingredients that allows a strong reduction of "crow's feet" and mimic wrinkles around the eyes. 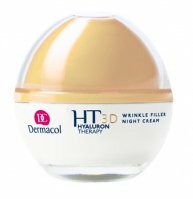 The skin regains its smoothness and elasticity, while unaesthetic eye shadows and puffiness are visibly reduced. For best results, it is recommended to use every morning and evening. Evidently reduces the "crow's feet". It has a high concentration of active ingredients.